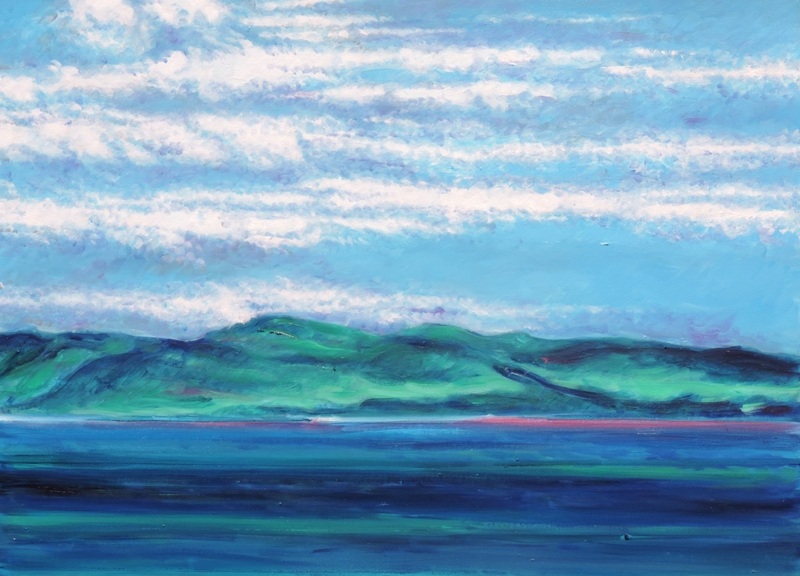 Oil painting of view of Ireland's Ring of Kerry clouds, land and sea. While travelling in Ireland, the landscape at Ring of Kerry in County Kerry south-western Ireland captured my personal perspective of expression, retaining my minimal impressionistic approach and obsessive fascination with clouds, sky, ocean, and the land. Using oil paint, I painted this coastline scene on a 30 inch x 40 inch canvas. The painting is signed and dated on the back of the canvas (2013-2014). 5" x 7"6" x 8.25"7" x 9.75"8" x 11"9" x 12.5"10.5" x 14.5"